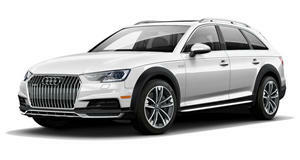 A pioneer when it comes to all-wheel drive, Audi has built 5 million cars with Quattro over the past three decades. If you’ve been noticing an increasing amount of cars available with all-wheel drive on the market, there’s a good reason for that. Previously almost exclusive to trucks, you can now get sedans, wagons, crossovers, minivans, coupes, convertibles, supercars and just about everything in between with four-wheel traction. Few have embraced the technology, though, quite like Audi. The German automaker has offered various iterations of Quattro since 1980 and has just made its five millionth all-wheel drive car. The model in question is an A6 Allroad Quattro wagon, but Audi says that it offers more than 140 model variants in all-wheel drive. In fact Audi reports that a solid 43% of its customers opt for all-wheel drive, leaving us to wonder why the other 57% don't. But over the past three decades, rivals like Mercedes-Benz, BMW, Jaguar and Maserati have clearly taken notice, introducing all-wheel drive systems of their own. That doesn’t even take into account the considerable impact which Audi has made on motor racing with the Quattro system, dominating the WRC, DTM and Le Mans by driving all four wheels where others have powered only two.